Generate 100% white hat backlinks. Private WordPress plugin that is mining broken links and expired domains. 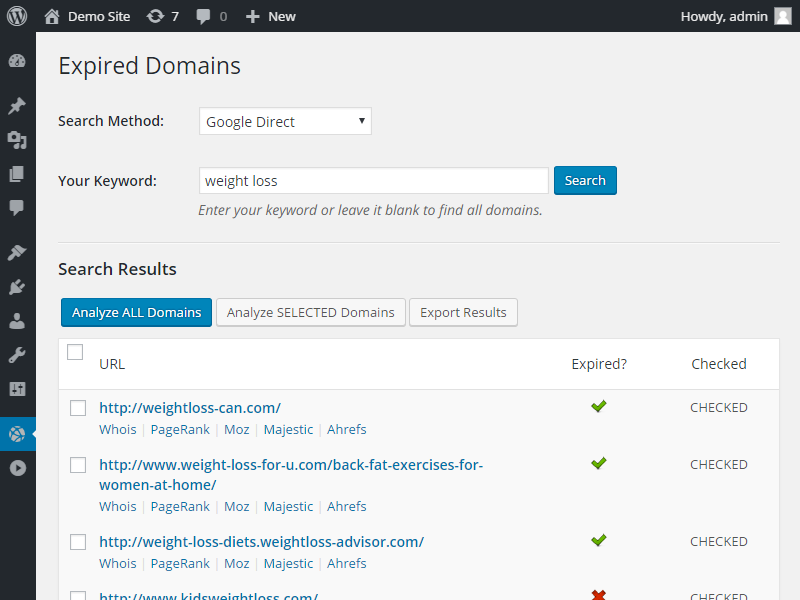 The big dream of every SEO marketer: 100% white hat backlinks. The only way to get them is by searching for broken links and links that are pointing to expired domains on authority sites. Later you ask the site owner to change the broken/expired link to yours. That's exactly what the plugin does. The user enters the niche keyword and the plugin looks for sites in that niche that could have broken links. 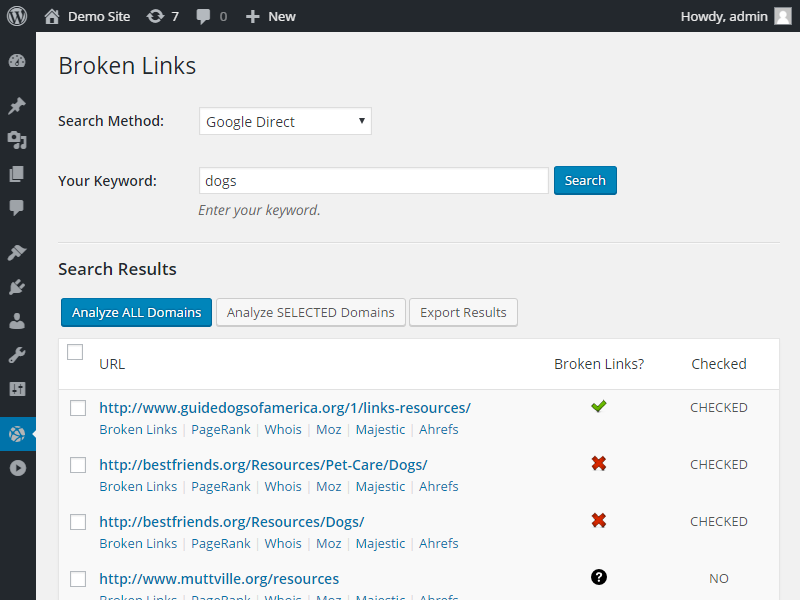 After a list of possible sites is found the plugin checks each site for broken links. With a list of broken/expired links the user can send out an email to all of the site owners right from the plugin admin panel.